The Christian woman acquitted of blasphemy still cannot leave the country. Canada has officially offered asylum, whilst the United Kingdom has refused fearing attacks against its embassies. Amid all this there is some joy as Asia Bibi’s husband finally embraced her again. Islamabad (AsiaNews) - In Pakistan, negotiations have stalled over Asia Bibi's asylum. The Christian woman acquitted on blasphemy charges was freed but not allowed to leave the country after Islamic radicals who forced the government the review her sentence. "We have no news,” Joseph Nadeem, executive director of the Renaissance Education Foundation, told AsiaNews. “We are unaware of any contacts between the government and foreign countries. Newspapers report many stories, but not all of them are true." For now, the Christian woman is "hiding in a secret location” but "the good news is that she was able to meet her husband after ten years,” the activist said. Asia Bibi was arrested in 2009 and sentenced to death in 2010 on the false charges of insulting the Prophet Muhammad. Her case has attracted the attention of several countries around the world. Some, like Canada, have officially announced that they are involved in confidential negotiations with the Pakistani government. Yesterday Canadian Prime Minister Justin Trudeau, in France for the 100th anniversary of the end of the First World War, said that his government was “in discussions with the Pakistani government” about offering asylum to Asia Bibi. "There is a delicate domestic context that we respect which is why I don't want to say any more about that, but I will remind people Canada is a welcoming country," he told AFP. Other countries, such as the United Kingdom, have categorically excluded providing protection and asylum. Fear of unrest on British territory and the risk of attacks by Islamic radicals against its embassies around the world are given as reasons. Recently, Asia’s husband Ashiq Masih appealed to the United Kingdom, later to the US, Canada and Italy. According to Abraham Mathai, president of Indian Christian Voice, the position of British Prime Minister Theresa May is "deplorable and shocking". It is “an embarrassment” that shows the country "Succumbing to extremist pressure”. For him, “denying asylum to Asia Bibi” is a sign that the “extreme radicalisation of the UK is now complete". 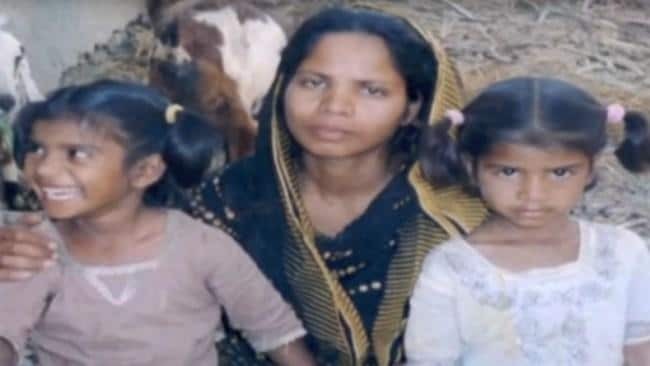 Meanwhile, Asia Bibi’s family continues to "pray for the good resolution” of the situation, and is “grateful to the Lord for her release,” said Joseph Nadeem. "The Christian mother is under a special security regime,” he explained. “We are waiting for better times. All of them hope to finally lead a free life, safe and far from Pakistan."